Background: A well established UK College, based within Cheshire that has an active business unit, attracted ERDF funding to design, deliver and manage an ongoing programme of development and support, however needed a commercial business to partner them. Brief: Looking at the current market and understanding the factors affecting start ups and micro/SMEs, the brief was to design and deliver a series of highly interactive workshops. 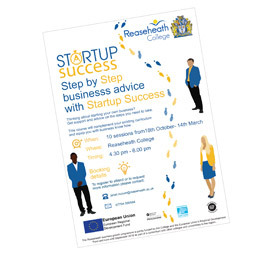 Design: Karl and the team, used their knowledge and experience of the start ups/micro SMEs and designed a highly interactive series of bi weekly workshops, based at the College. Delivery: The programme consisted of a series of modules that all the delegates/business owners went through, supplemented by an ongoing coaching/mentoring service on a one- to-one basis. The training programme was linked to an ongoing development programme for HE students. Outcomes: Success. With delegate feedback of 100% satisfaction, the entire programme has been a runaway success, looking to help stimulate businesses within the food, retail, FMCG, consultancy, niche clothing and more. Background: Anglian Water has traditionally been one of the top UK regional water supply companies. As of April 2017, the UK water market de-regulated, allowing businesses to swap suppliers - regardless of region, following the move by Scotland a few years ago. Brief: To take a traditional service orientated team/business and turn it into a sales business, fit to take on national/global competition and become a growing market leader – taking into account an upcoming merger/rebrand – becoming Wave. Design: A period of due diligence within the business and wider market identified the need for a structured programme of change for the staff and indeed the business, to enable it to meet its goals and aspirations..It was agreed to be a series of workshops, consultancy days and coaching. Delivery: The programme consisted of a programme of change via, team meetings, coaching, training sessions and so on and is ongoing 4 years later. Outcomes: Success. The programme has seen the launch of a new separate business, focused purely on retail sales and now a merger. Staff have been fully trained and integrated into the new brand. In their own words, “sales targets have gone from 5 zeros to 6 zeros”. 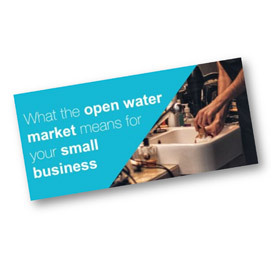 All teams are now on or over target and Anglian Water Business have seen huge growth in the Scottish market, where they are almost a market leader. With customers such as Costa, McDonalds, B&Q and so on - Wave are now positioned to become the successful business they aspired and planned to be. The training programme has now become an integral part of their ongoing development. Design: Initial internal/external meetings, roadshows and due diligence into the golf industry and looking at the history behind the decay. Taking the same positive strategies used outside golf, the programme comprised of individual Club business focus sessions and consultancy to initially focus on making stronger Clubs - to build solid foundations for golfers to return to. Delivery: The programme consisted of a series of a 150 meetings, under the guise of Business Advisors - whereby 50 Pilot Clubs were targeted and visited a minimum of 3 times over a 12 month period. Outcomes: Success. The key data has shown that Clubs within the Pilot programme, over an 18 month period had an 11% positive variance against national statistics. Results included; new income streams, new governance, new management strategies, strong business planning, staff development, and importantly, new ways of thinking! Clubs within the programme, became business focussed and in line with stakeholder and market forces - saw stabilisation resulting in growth. Clubs that faced no future, are now turning a cash deficit into a surplus! The Pilot was seen as an outright success, benchmarked against the 7 Key Strategies of the main UK stakeholder and funding partner - Sport England. Other NGBs are keen to follow this successful intervention. Background: A well established UK branded asset finance provider suffering from an identity crisis in a tough economy. This didn't bode well for Lombard and they needed help with customer retention and new customer acquisition. Brief: To understand the issues facing the business. To consult with the main management/Directors and to design, deliver and implement some front line training/consultancy for all sector teams within Lombard. Design: Using the underlying history of an amazing brand and the wealth of customer feedback over many years, Karl and the team went about understanding what a Lombard customer might want in todays market and also why a non Lombard customer might come on board. Delivery: The programme consisted of a series of modules that all staff went through, supplemented by an ongoing coaching/mentoring service on a one-to-one basis. The training programme was linked to staff appraisals and reward and became entrenched as part of the HR process. Outcomes: Success. Karl consulted with the main management and Directors to implement a number of key initiatives as part of the Lombard ‘world class’ programme. All front line staff across all teams enjoyed the initial two-day sales seminars. An ongoing programme of development was put in place for staff. Background: With over 65 years of experience of healthcare, Bupa are a leading provider of solutions for private individuals and corporates alike. Their corporate small business team are required to handle inbound and outbound calls, via a main call centre operation. They offer solutions to small to medium businesses across a wide range of sectors and industries. The main part of this business is predominantly via the telephone. Brief: To run a bespoke training programme for their telephones sales operation, within the small business team. Productivity was low and staff morale needed attention. New FSA regulations meant increased regulatory scripts and overall the team needed assistance. The team were experiencing a high degree of ‘down time’ – ie time whereby calls were not being made/received and customers not being spoken to. Design: Initial /external meetings, and a period of due diligence which included listening to calls and interviewing various team members and management. This also included on site analysis and investigation. Delivery: The programme consisted of a series of 1 and 2 day workshops run on site and to include all management and staff. Outcomes: Success. The initial training resulted in some huge reductions in ‘down’ time and overall increased productivity by over 200% in a 45 minute call period. Staff morale increased as a result of this uplift in performance and overall the team developed. “It was a very positive two days and the team appeared to be really engaged in the process & committed to making some significant changes that will impact on performance & results” – Director.